*Sources of screenshots/videos are listed in their respective file-names. Popular crowdfunding website Kickstarter not only features gadgets and artistic initiatives, but also video games that need YOUR support to see the light of day. 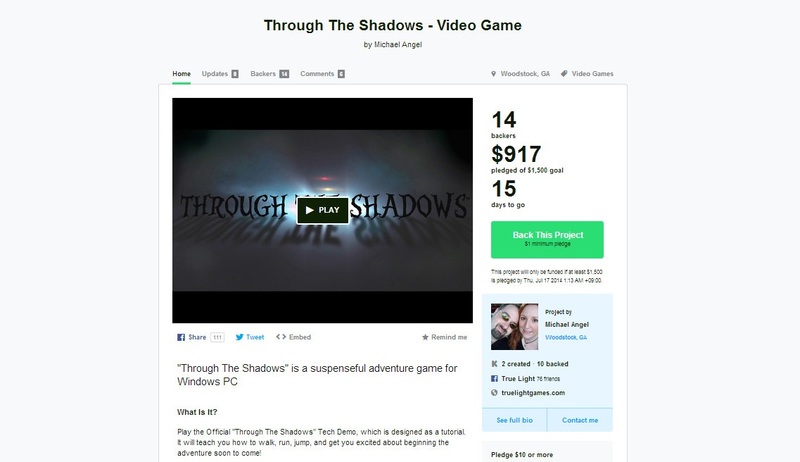 I didn’t know what to expect from the Kickstarter project, Through the Shadows. A family-friendly survival horror game? 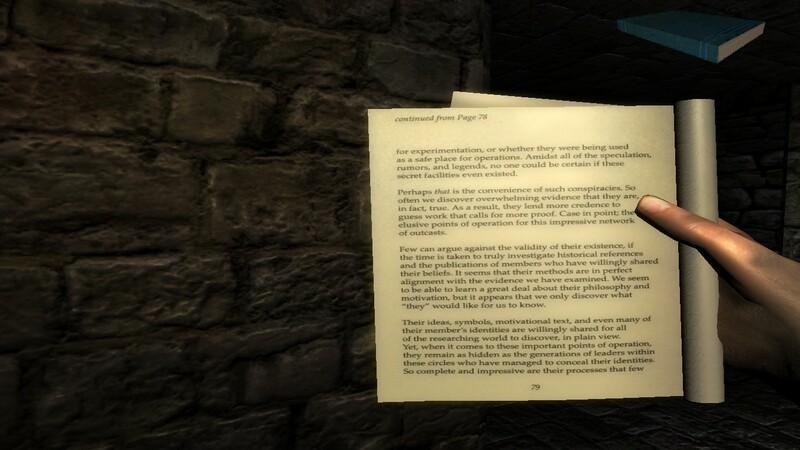 A graphically impressive first-person adventure? A story-driven Christian puzzler? A number of Kickstarter projects offer little evidence they can bring their promised vision to life. In contrast, Through the Shadows’ free tech demo includes 4 levels featuring advanced graphics capabilities and the potential for deep story-driven gameplay. 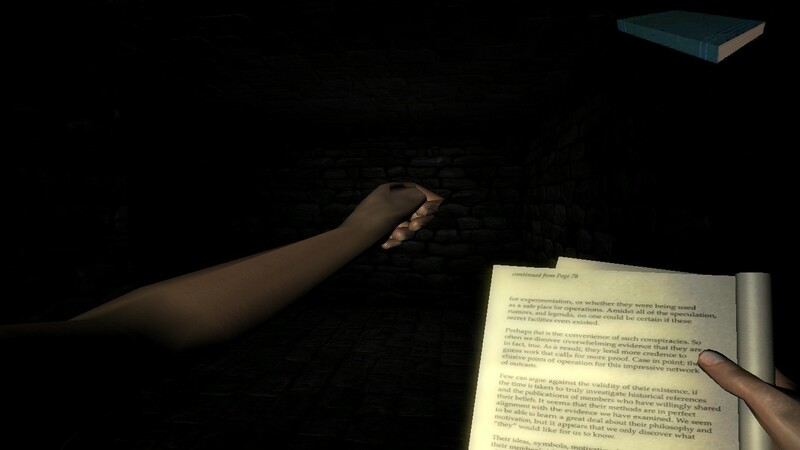 Through the Shadows is an extremely atmospheric first-person adventure. 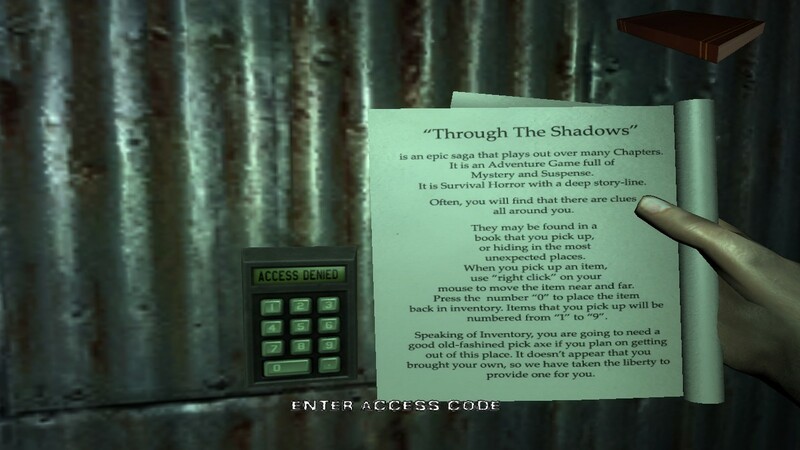 This game brings together design elements from several genres, including the exploration/item-collection in adventure games and the dimly-lit corridors found in survival horror classics. In the roughly thirty-minute runtime of the demo, my chief impression was one of surprise. I did not encounter another living being or fight a single monster, yet I somehow found myself frightened and on edge (though future conflict is suggested by the players’ punching animation). A feeling of visceral tension is created due to some excellent sound design. I’d be walking through a dim corridor, looking for a lever to open a locked entryway. Upon activating it, a track would suddenly begin playing that had my cursor wildly searching the screen and my ears straining for the echo of distant footsteps. This quality likely stems from the developer’s history as a musician/audio engineer. Aside from the footsteps of the player being a tad bit loud on stone, I found Through the Shadows to be a genuinely enjoyable experience that will eventually make a fine addition to any collection. 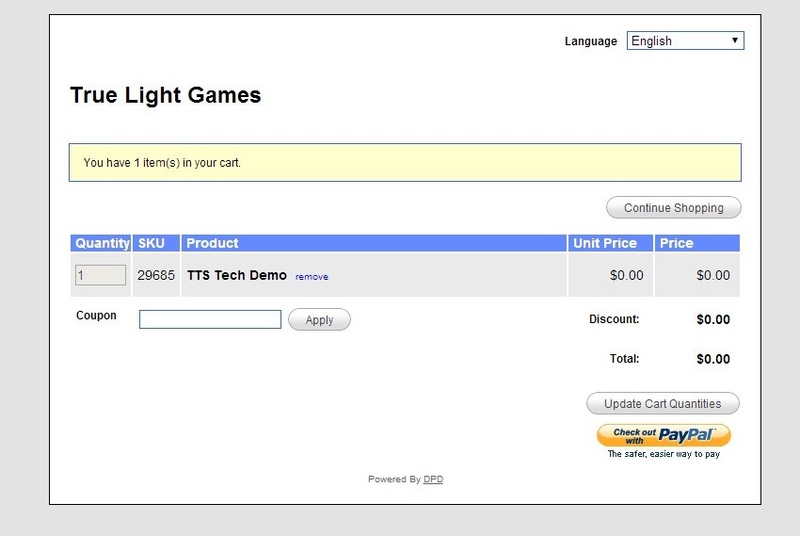 Download the free tech demo here. The price will be listed as $0.00. When you click “Check out with PayPal,” you’ll be taken to a screen where you will enter your name/email. 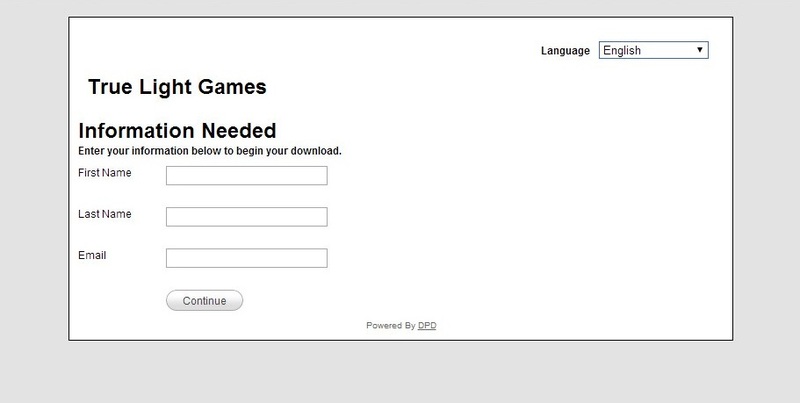 You can then download the demo freely. The Through the Shadows Kickstarter project is currently 15 days away from completion and only $583 dollars away from its funding goal. If the funding goal is not reached, no money is deducted from your bank account as a supporter. Not only do I want to see more Christian games of a higher caliber released, I believe it can happen. Titles like Adam’s Venture, the Visions Christian MMO (more on that game soon!) and now Through the Shadows are leading this charge. Support Through the Shadows Now! This entry was posted in Uncategorized and tagged adventure, Bible, christian, Christian Games, christian gaming, Christian Kickstarters, christianity, family-friendly, gaming, God, Jesus, Kickstarter, KJV, paid, PC, preview, puzzles, salvation, support, survival horror, Through the Shadows, video game, video games, video games and the Bible, Video Games and the Bible Highlights, videogames. Bookmark the permalink.